SEAN: March is here (though the East Coast has the wind already). What does manga have in store for us? Dark Horse (assuming it does not schedule slide, like DH do ALL THE TIME) has the 3rd Gantz G and the 2nd Mob Psycho 100. MICHELLE: The first volume of Mob Psycho 100 intrigued me enough to try a second volume, so I’ll be snagging that one. ASH: Likewise! I’m looking forward to reading more of the series. 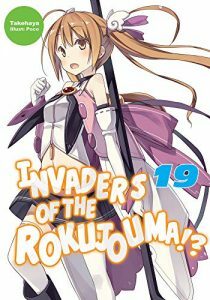 SEAN: J-Novel Club gives us Invaders of the Rokujouma!? 19 (yes, for real this time). Kodansha, print-wise, has the 2nd 10 Dance, the 6th and final Golosseum, The Quintessential Quintuplets 2, and The Seven Deadly Sins 31. MICHELLE: 10 Dance all the way. SEAN: Digitally… it seems light. TOO light. Bet there’s an unannounced debut. Till then, there’s just Chihayafuru 15. MICHELLE: I’ll never complain about more Chihayafuru! SEAN: Speaking of digital, Seven Seas has another ‘early digital release’ light novel with Division Maneuver. The plot… erm… well, the illustrations… erm. Boy, that sure is a light novel for teenage boys, isn’t it? They’ve also got I Don’t Like You At All, Big Brother! 11-12 (mercifully, a final volume), Little Devils 2, and Magical Girl Site 8, making this the most cliched old-school Seven Seas week we’ve seen in some time. I suppose Little Devils is cute. Tokyopop has a 2nd volume of Yuri Bear Storm. Vertical gives us Mobile Suit Gundam Wing 11, which is nearing its conclusion but not there yet. And boy oh boy, what a lot of Viz. No debuts, but we do see the final Bleach omnibus (a 2-in-1), which gives me the chance to go WOO ICHIHIME WINS! one last time, and the 9th and final Everyone’s Getting Married. ANNA: I enjoyed Everyone’s Getting Married. 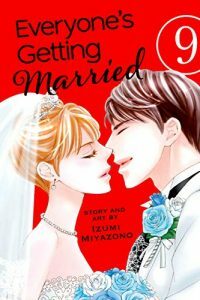 I hope we get more josei from Viz. ASH: I would love to see more josei! SEAN: Shonen! Boruto 5, Demon Slayer: Kimetsu no Taiba 5, Dr. STONE 4, Haikyu!! 31, Hunter x Hunter 35 (it exists! ), Kaguya-sama: Love Is War 7 (technically seinen), One Piece 3-in-1 27, Seraph of the End 16, and Yu-Gi-Oh! Arc V 5 (technically Yu-Gi-Oh, which is its own genre). ASH: I’ve fallen a little behind with Haikyu!! but am hoping to catch up soon. Shoujo! Anonymous Noise 13, Behind the Scenes 6, Kakuriya: Bed & Breakfast for Spirits 2, and Skip Beat! 42. I am so ready for more Skip Beat!. SEAN: Lastly, a Yen Press straggler with the 2nd volume of Final Fantasy: Lost Stranger. That SEEMS like a light week, but that’s just because Kodansha took it off digitally and Viz is all bunched together. What’re you getting?